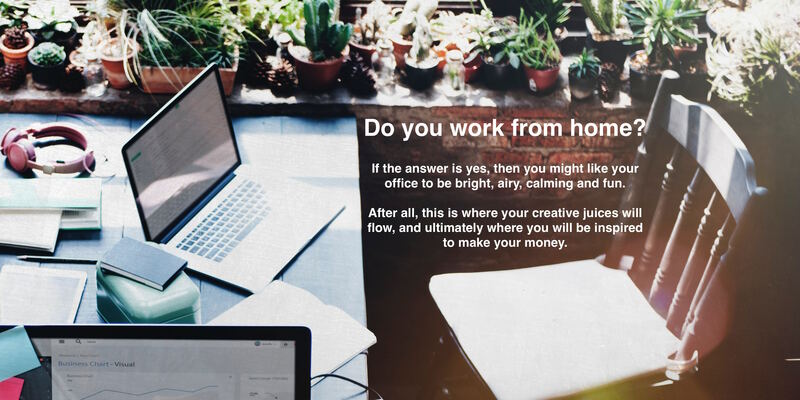 Do you want to walk in to your home and just think wow, not just the first time but every single time? Here are 5 tips on how to create a perfect scheme for your home. This will really help you to know what colours might work in which. 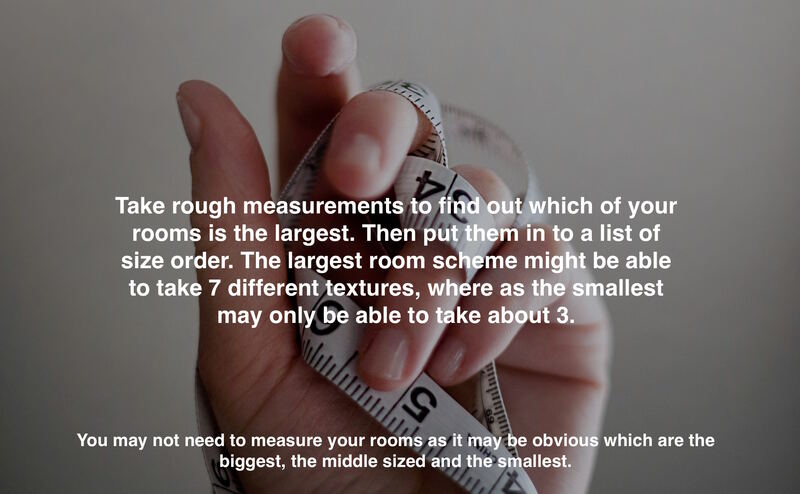 By writing down the size of each room, it will be much easier to create a scheme for each one. The largest may have the most amount of textures and colours as it can take it. If you want to use a bold colour but you aren’t too sure if you will like it, test it in the smallest room first. Then it’s much cheaper to change. Don’t be afraid to make every room different, even if just by a little smidgen. 2. What time of day do you use each room? When does each room get the sun and at what time of day do you use each room? Your bedroom may get the sun at midday, when you are quite likely to not be in it. You will therefore use your bedroom mostly with artificial light so make sure you pick colours that work with this type of light. If your living room holds the sun for most of the day, strong or dark colours won’t be too overbearing as the room itself will be quite light. That may mean grey, cream, white, black, sand, taupe – the list is pretty endless but you get the jist. This colour should feature throughout the whole house on at least one item in each room. It may be a carpet colour in one room, a wall colour in another room, a chair covering in another room and a lamp in the final room. You could paint all the walls in this shade or have all of the floors in this shade. No matter what you do, the continuity is key to create a perfect scheme. 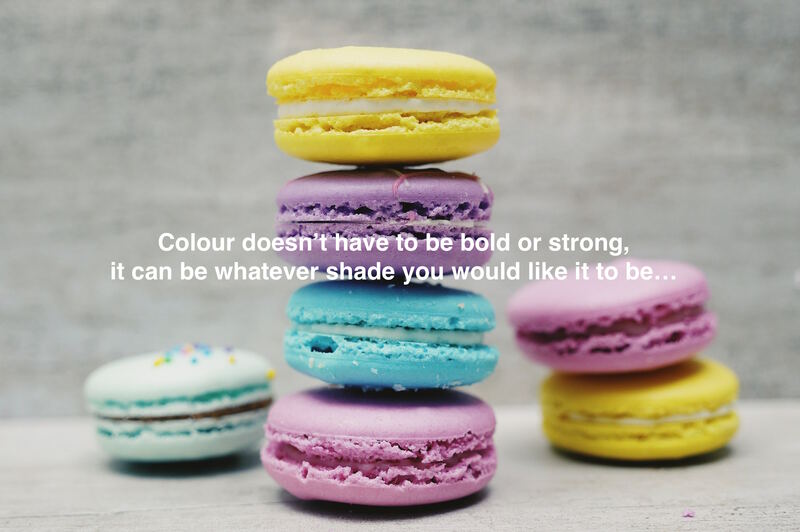 Every home needs a pop of colour so pick your favourite one. Each room can have a different colour, but make sure that it isn’t just one item. If you add in a colourful armchair then just dot a little bit of the colour somewhere else in the room too. It can be a more subtle shade of that colour, but it will just help the feature piece to look as though it was meant for that room. Test your colours, start with a cheap cushion or paint a small section of the wall. If you have a dog, it might be best to not have white carpets no matter how much you love them. If you have little children seriously consider leather sofas as it will make your life so much easier and give you more time to play with them rather than scrubbing away at your sofa. Make sure your scheme works to your lifestyle just as much as it works to your tastes. If you need a little more help, why not read our blog post on how to refresh your space for the summer. Previous Previous post: Dining Table Inspiration -Round or Square?